Many centuries ago the Mayan village, now called Joya de Ceren, experienced sudden disaster – the eruption of nearby Loma volcano covered the village with a thick layer of ash. 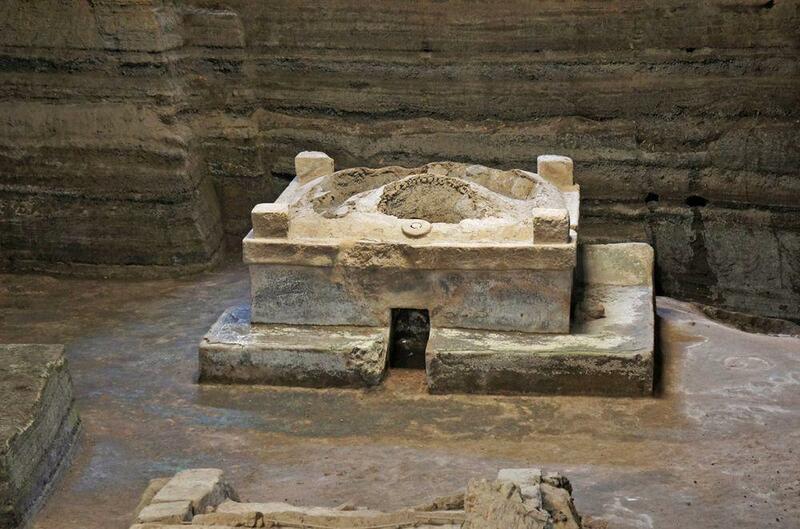 Calamity of Mayan farmers turned into luck of contemporary archaeologists – this Mayan Pompeii has provided us with valuable knowledge about the daily lives of those ancient people. Joya de Ceren ("Fertile Valley of Cerén" in Spanish, Cerén is surname of the former landowner) is located on the periphery of Mayan realm. 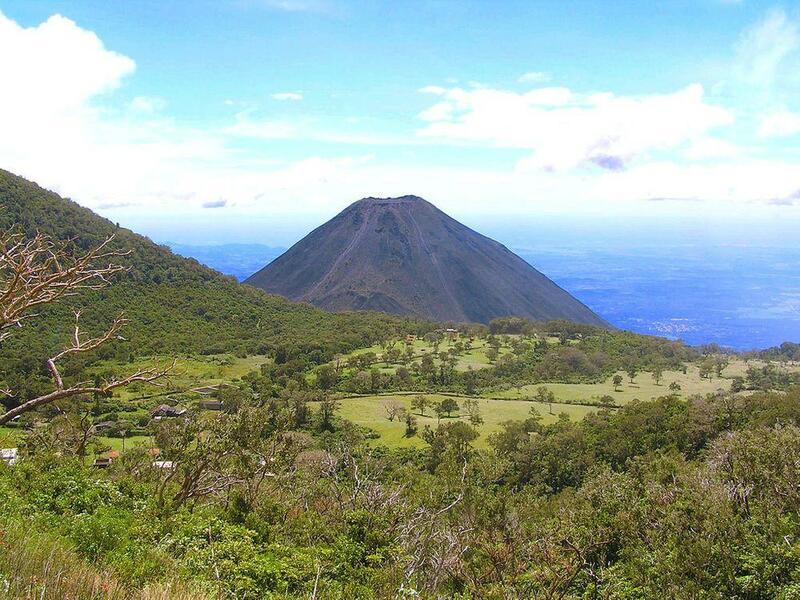 The nature in this area of the present day El Salvador has been hostile to Maya – from time to time powerful eruptions of volcanoes brought misery and desolation to this land. 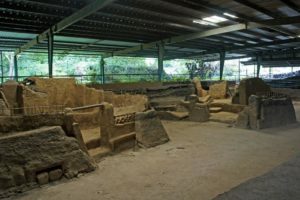 First known traces of Mayan settlement in the western El Salvador are from 1200 BC or, possibly even from 3000 BC – possibly the oldest Maya community. It seems, Maya people developed their farming villages here successfully until a catastrophic eruption of Ilopango Volcano in the 5th century AD. Area around Joya de Cerén turned into a white desert and was abandoned. 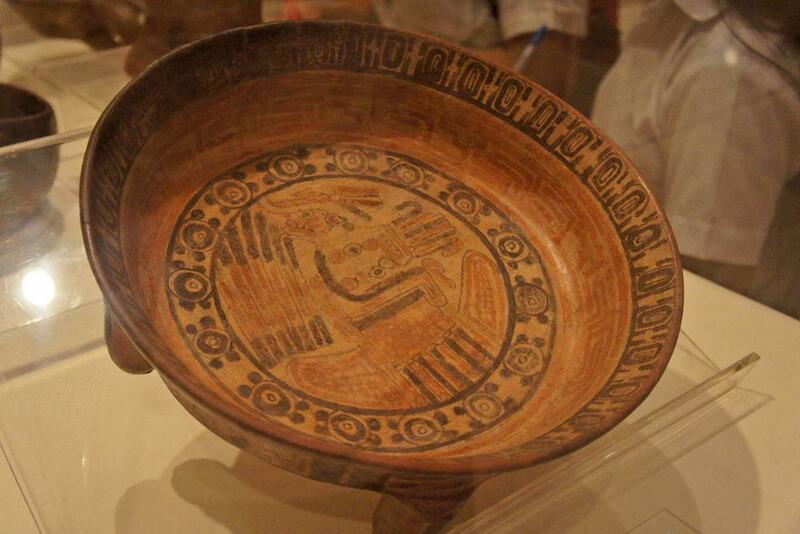 Maya culture elsewhere was developing, but this desert waited. Volcanic ash gradually turned into fertile soil. People returned to this area approximately one century later. It is not entirely clear when a densely built village developed – but it happened before the end of the 6th century. It was not major center – just one of many villages in this fertile land. It happened again sometimes around 610 – 670 AD (many sources mention also a year around 595 AD). Suddenly started the eruption of the nearby Loma volcano, a vent, which opened just 600 m north from the village. This was not especially large eruption, ash covered some 5 km² – but Joya de Ceren was hit hard. Layer of ash was some 4 – 8 m thick. People somehow were warned – no bodies have been found. Before the eruption were several strong earthquakes – may be this served as a warning. But people had to escape fast – home utensils, baskets, garden tools, bean-filled pots were left, even half eaten meals have been found. Whole layer of ash fell on the village in some hours time. The ash was not too hot and it fell in large amounts, preserving everything in very good quality. Even the plants were not scorched. Thus a true jewel for archaeologists was created. The ancient settlement was discovered occasionally, while building grain silos and clearing the soil for fundament. One bulldozer struck a clay building in the ground. The site happily was owned by government – it was purchased earlier for agricultural experiments. Builders informed the government archaeologists and further works were stopped. Unfortunately part of the ancient village was destroyed by this time. Excavations in this area started in 1978 and were led by Dr. Payson D. Sheets. In 1980 these excavations were interrupted by a war. In 1989 excavations were started again and continued up to 1996. In 1993 the site became the first (and the only one thus far) site from El Salvador to be listed in UNESCO World Heritage list. In 1996 works were stopped because the exposed structures started to deteriorate. In order to prevent the damage by rain, site has been covered with a roof – thus far it has been an effective solution and in 2005 research was resumed. Just a few percent of the area have been explored thus far. Next to the site is a museum with a wealth of artefacts found in the ancient village. 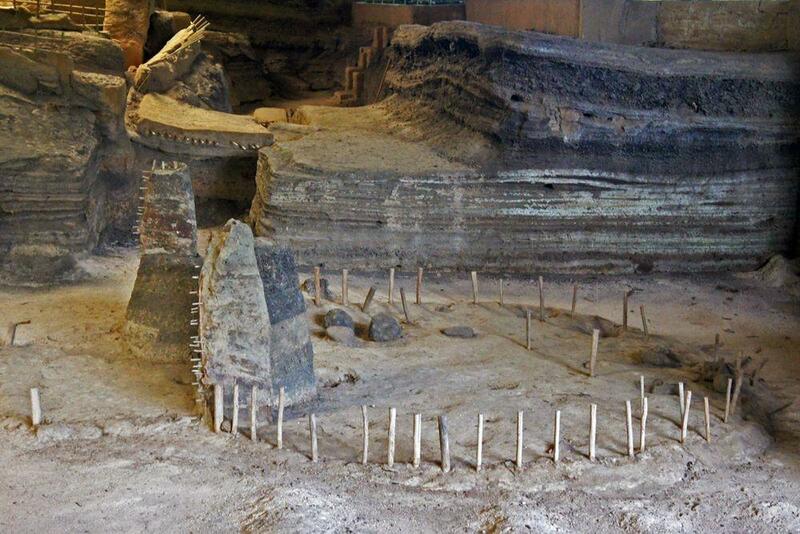 Thus far in the site have been excavated some 70 structures – living quarters, storehouses, workshops, kitchens, communal sauna, religious structure. It is not quite clear how large will be this village – but in the buildings found thus far could have lived some 200 people. Buildings are grouped in compounds – living quarters, storage rooms, workshops, kitchen. Structure 3 – house with two rooms, the largest structure. Possibly served as a public building or apartments of the elder in the village. 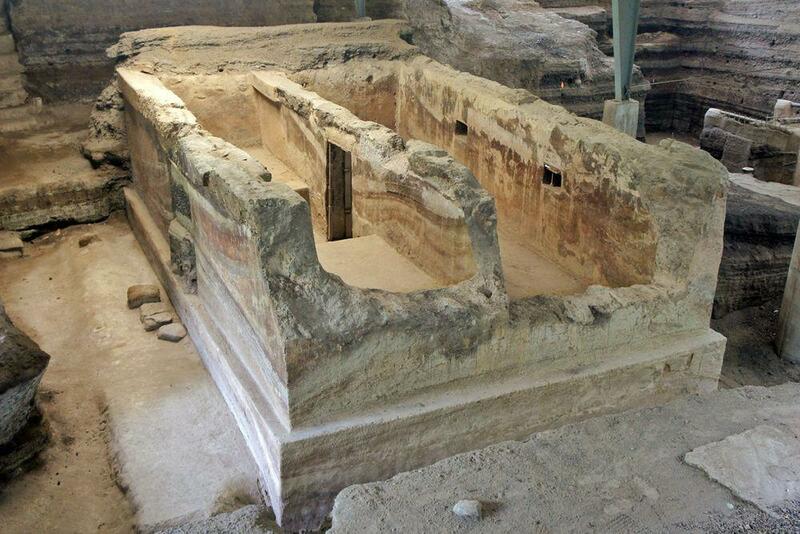 Structure 9 – temascal or sauna. This building was used for bathing – but also for childbirth and curing. People entered this weird structure crawling through a narrow hole. 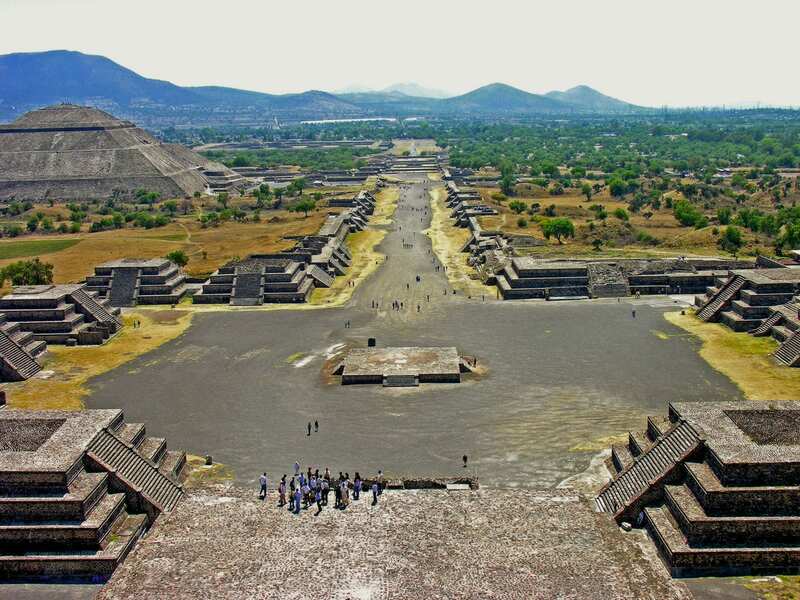 This is the only ancient dome shaped building in Mesoamerica! Structure 11 – circular building, which was built from cane. Here were found different kithcen utensils in a very good state of preservation. Structure 12 – unusual building with two rooms and lattice window. Inside have been found traces of a mural painting. It is possible that here lived a women – shaman and healer. Structure 13 – another compartively large building, also a possible house of local ruler. Fertile land in this valley was intensely used for agriculture – fields extended up to the walls of buildings. Remains and casts of plants are some of most valuable features in the site. There have been uncovered fields of vegetables and maize – kitchen garden with different herbs and agave plantings. Were found remnants of fruit trees. Especially important is the find of manioc fields in the lower, 1400 years old cultural layer. This find is the earliest known case of planted manioc (cassava). This field was planted shortly before the eruption – may be just some hours before it. 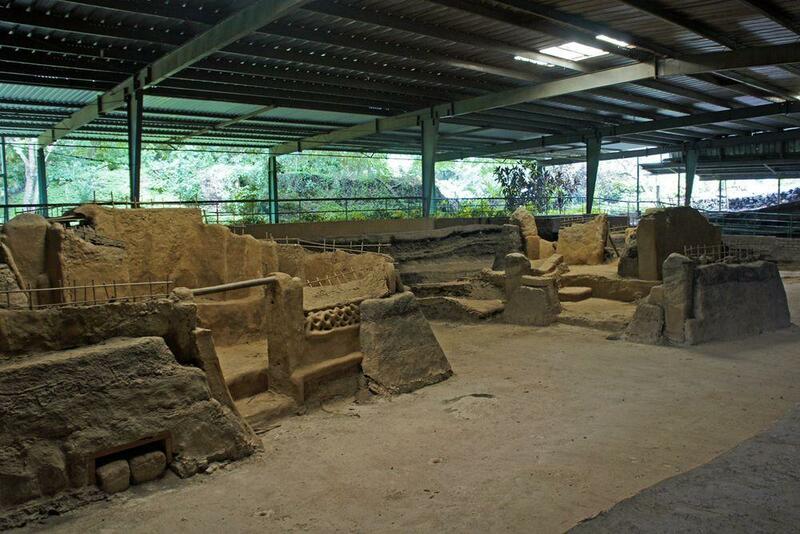 Joya de Cerén Archaeological Park, from "The Archaeological Parks of El Salvador". Accessed in 01.07.2012. Most interesting landmarks in El Salvador are the numerous prehistoric cities (ruins of cities) scattered all over the country. Nearly unique is Joya de Cerén – prehistoric city buried under thick layer of volcanic ash not unlike Pompeii. Somewhat less known are the caves with traces of prehistoric settlement, with drawings and petroglyhs on the walls. It turns out that urban planning is very old profession. The urban fabric of ancient settlements – their structure and evolution gives a lot of food for thoughts about the nature of humans and civilization. Wondermondo includes in the category of ancient cities and towns those settlements which have developed as urban areas at least 1500 years ago – around 500 AD. Moon Handbooks give you the tools to make your own choices: can’t-miss sights, activities, restaurants, and accommodations; essential info on San Salvador; El Salvador’s resilient urban heart and suggestions on how to plan a trip that’s perfect for you. Describes the geography, climate, people, cities, farming, industry, and changing economy of El Salvador.